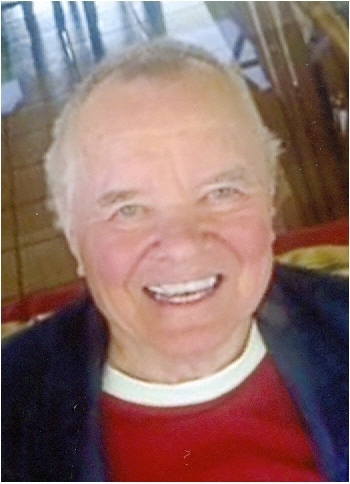 Robert Dean “Bob” Gilkison, 86, of Morehead, passed away Monday morning, July 2, 2018 at Cave Run Manor. He was born on August 28, 1931 in Morehead, Kentucky, a son of the late Willie Sanford Gilkison and Bessie Beatrice Flannery Gilkison. Mr. Gilkison was a retired employee of the United States Post Office in Morehead and he was a United States Navy Veteran having served during the Korean Conflict. He was a graduate of Morehead High School and attended Morehead State University, where he was only a few hours short of receiving his Bachelor’s Degree. Bob was a member of the Clearfield Tabernacle First Church of God, where he had served as the Youth Leader for many years. He was very passionate about his youth ministry and always had one of largest youth groups with nearly 100 youth members. He enjoyed reading, walking, traveling with his wife and he was a University of Kentucky Basketball fan. In addition to his parents, he was preceded in death by his wife, Wilma “Jean” Gilkison, who passed away on May 13, 2009, a step-son, Jack L. Barber, Jr. and three brothers, Billy Gilkison, Don Gilkison and Glenn Poston. Survivors include two daughters, Roberta Jean Gilkison of Novato, California and Saundra D. Nathanson and her husband, Jace of Morehead, one sister, Betty Gilkison of Jacksonville, Florida, seven grandchildren, Lindsey Greenberg, Tyler Greenberg, Tracy Barber, Shannon Barber, James Barber, Crystal Alexander and Chance Nathanson, seven great-grandchildren, several nieces and nephews and his loving caregivers and the staff of Cave Run Manor. Funeral services will be conducted at 2:00 P.M. Friday, July 6, 2018 at the Clearfield Tabernacle First Church of God with Rev. Cecil Ison and Rev. Saundra D. Nathanson officiating. Burial will follow in the Forest Lawn Memorial Gardens. Visitation at the Michael R. Gray Funeral Home in Morehead is from 5:00 P.M. to 8:00 P.M. on Thursday. The body will lie in state one hour prior to the service at the church of Friday. Pallbearers will be Bryen Alexander, Mark Poston, Randy Poston, Danny Reynolds, Jack Carter, Randy Chapman, Charlie Henderson and Gerald Conn.